Southern Glazer’s Wine & Spirits is happy to announce the promotion of Amy Grantland to the newly created role of Senior Vice President, Revenue Management. In this new role, Amy will be responsible for leading the strategy and deployment of revenue management capabilities through a consistent and holistic approach to pricing and promotions supported by enterprise solution tools, processes and policies to drive sustainable growth. "As we continue to grow, it's even more important that we base pricing and promotional decisions on data-based knowledge of our customers' buying behaviors and dynamic market demand," Brad Vassar, Executive Vice President, Chief Operating Officer. "The creation of this new role, combined with Amy's exceptional experience, will help to ensure we are selling the right inventory to the right customer, at the right time, and for the right price." "We are thrilled to be able to promote a great leader from our own finance organization into this important role," added Thomas Greenlee, EVP, Finance. "Amy will be a key contributor to driving consistent revenue management decisions and to creating greater alignment across several financial operations to advance our revenue and profitability goals." Amy transitions into her new role with 20 years of supplier and wholesaler experience in commercial finance. Most recently, she held the position of Vice President, Commercial Finance for Southern Glazer's, focusing on standard tools and processes for annual sales planning, business performance review and the management of supplier contractual obligations. 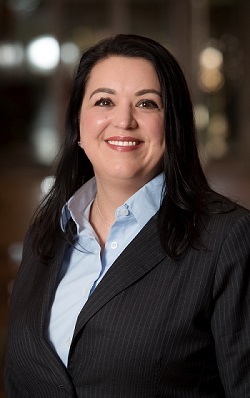 She began her career in the beverage alcohol industry with Diageo and held roles with increasing levels of responsibility before joining Glazer's in 2012 as Corporate Director, Commercial Performance where she provided financial and decision support for the dedicated Diageo/Moet Hennessey team. Amy was also a part of the Enterprise Project Management Office and led the implementation of a price planning platform for key states. Congratulations, Amy! We couldn’t be more proud to have you on our team! To learn more about opportunities at Southern Glazer’s Wine & Spirits, click here.